›This Little Light Of Mine / Which Side Are You On, Boy? 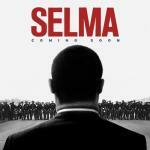 This serious film is about Martin Luther King, who raised the national liberation wave in the greatest country in the world, both on the territory and on democracy, which today is finally installed. A lot of great acting in the film done by such notable persons as Tim Roth and Cuba Gooding Jr. The incredible strength and power of a man, who is ready to do anything for the purpose, can break the inertia of the whole country and a huge system, in spite of everything. Even if they will put him in a jail or threaten to kill his children. This is the story of a national hero who overwhelmed the most evil, vile and treacherous enemy – a government that does not want to change anything. This is a story about how the history was made and about strong people, who stood at the origins of such large-scale achievements. The musical selection for this film came out very strong too. And – most importantly – authentic. Most of the songs were written in 1950–1960 (e.g., Alabama Blues), but there are some that came even from years of 1940 (for example, You Ain't Got But One Life To Live). They allow you fully experience the atmosphere and to understand what was really going on in the movement for their rights and what caused the abolition of racial segregation in one of the most democratic societies in the world. Jason Moran wrote several songs for the collection, pleasing us with quality blues. And Sarah Vaughan well portrayed the purity of the female voice.